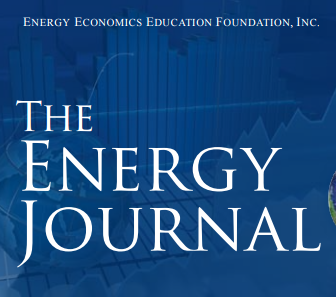 Article publication «Long-term endogenous economic growth and energy transitions» by Victor Court, Pierre-André Jouvet and Frédéric Lantz in The Energy Journal review. This article builds a bridge between the endogenous economic growth theory, the biophysical economics perspective, and the past and future transitions between renewable and nonrenewable energy forms that economies have had to and will have to accomplish. We provide an endogenous economic growth model subject to the physical limits of the real world, meaning that nonrenewable and renewable energy production costs have functional forms that respect physical constraints, and that technological level is precisely defned as the effciency of primary-to-useful exergy conversion. The model supports the evidence that historical productions of renewable and nonrenewable energy have greatly infuenced past economic growth. Indeed, from an initial almost-renewable-only supply regime we reproduce the increasing reliance on nonrenewable energy that has allowed the global economy to leave the state of economic stagnation that had characterized the largest part of its history. We then study the inevitable transition towards complete renewable energy that human will have to deal with in a not-too-far future since nonrenewable energy comes by defnition from a fnite stock. Through simulation we study in which circumstances this transition could have negative impacts on economic growth (peak followed by degrowth phase). We show that the implementation of a carbon price can partially smooth such unfortunate dynamics, depending on the ways of use of the income generated by the carbon pricing.